The Musilia cello cases come with special shoulder straps. 100% safety, guaranteed. If needed every model can also be equipped with the optional comfort backpack system made by Musilia. 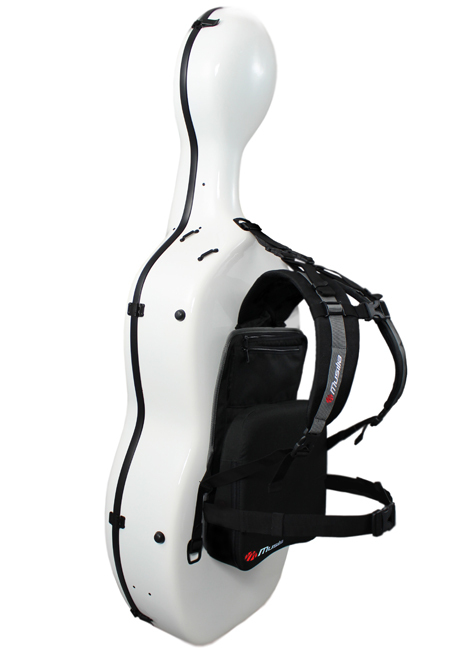 The Comfort-System is the perfect solution for long distance cello trekking. Moreover it is really easy to install and takes only 2 minutes to have it fitted on your case. Musilia Comfort-System have been created to match also the financial situation of students. Please check with your vendor for the currently valid prices. 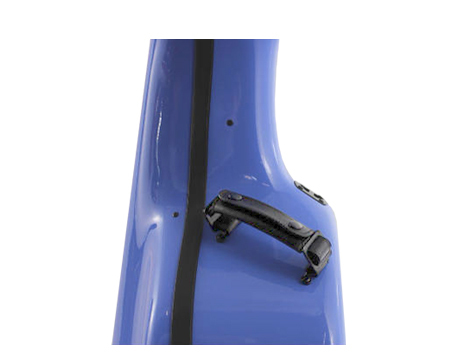 The removable shoulder handle for the cello case is optional. Please contact your vendor. violin case in the world. large pattern models of Cello.